You Are Here: Home > What is Mercedes-Benz DISTRONIC PLUS®? Mercedes-Benz DISTRONIC PLUS® is an active cruise control system that has revolutionized highway cruising. Using radar, it not only monitors a preset speed interval; it also monitors a distance interval. This feature helps you seamlessly stay with the flow of traffic — more effectively than single-speed cruise control. DISTRONIC® is available on many new and certified pre-owned Mercedes-Benz vehicles. Read on for more information about DISTRONIC® and how it works! How Does DISTRONIC PLUS® Work? The DISTRONIC PLUS® controls are located on a cruise control lever that’s attached to your steering column — somewhat like standard cruise control. Move the lever up or down to adjust your cruising speed by one mile per hour. Fine-tuning your speed is as easy as moving the lever up to increase the speed and down to decrease the speed. Pressing the lever hard decreases or increases the speed by five miles per hour. Want to cancel your cruise control setting? Apply the brakes or push the lever away from you. Pull the lever toward you to resume the last speed setting that was created. Use the knob at the end of the lever to adjust the following distance from the vehicle in front. View the central screen to make sure you’re following at a safe distance. DISTRONIC PLUS® can apply the brakes if traffic stops. Gently press the gas pedal or pull the cruise control lever toward you to resume traveling after three seconds. Mercedes-Benz DISTRONIC PLUS® was designed for the highways — and isn’t recommended for heavy stop-and-go-traffic. It’s also not meant to serve as a substitute for you paying attention to your surroundings, so you can intervene if a car stops suddenly or an accident seems likely. To learn more, read your owner’s manual or ask one of the service technicians at Mercedes-Benz of Plano. How Does DISTRONIC PLUS® with Steering Assist Work? DISTRONIC PLUS® with Steering Assist Work adds an extra layer of security to your commute through Frisco and Carrollton by helping you stay in your lane. Using a stereo camera located behind the windshield by the rear-view mirror, this system monitors lane markings and other vehicles and can adjust steering as necessary to help your vehicle stay centered during cornering. It’s worth noting that the system won’t work unless both of your hands are on the wheel. You’ll see a green steering wheel symbol in the instrument cluster when the system is active. 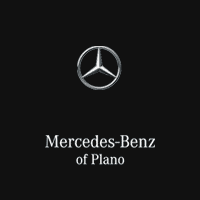 Learn More About Mercedes-Benz Safety Technologies at Mercedes-Benz of Plano! DISTRONIC® is just the start of the brand’s innovative safety technologies! Contact us to test drive a Mercedes-Benz vehicle equipped with this intelligent cruise control system. While you’re here, be sure to ask about other driver assists from the brand, such PRESAFE®, ATTENTION ASSIST®, and 4MATIC® all-wheel drive.